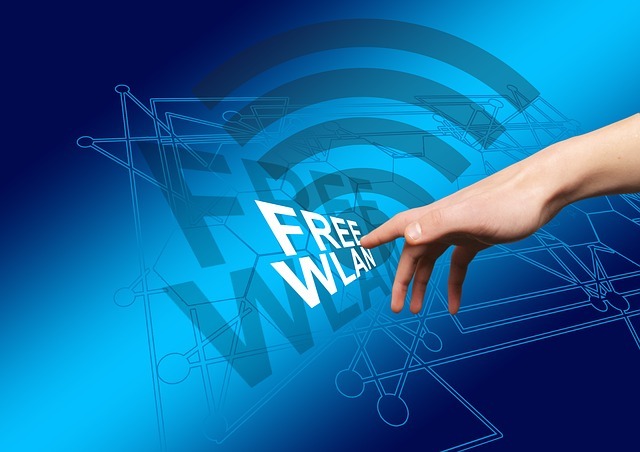 With the number of public WiFi networks available in more places in any country, it quickly becomes a favorite method for many people to connect to the internet. However, many internet users still don’t understand about the risks and dangers of using free public WiFi network. Most people just want to connect to the internet easily so that they can enjoy more bandwidth from the free network for various purposes. For instance, there are lots of people who are using the public internet to download or stream various media files since it usually offers faster connection speed than the regular mobile connection. The very first thing that you have to do before you even connect to the public network is to check the encryption status of the network. Sometimes, the place might only say Free WiFi, but there is usually no other explanation provided about the connection. So, you have to take a look at your device, and see the available WiFi connections. Navigate to the free public network and see whether you need to connect to the network with a password or not. If you don’t need any password to connect, it means that the connection is not encrypted, which is generally not secure for you. If it has a password, then it means that the connection is encrypted. You can always connect to the public internet that is encrypted with a password just like you connect normally to your home WiFi. It is generally quite secure although it might not be more secure than your regular WiFi connection. However, in the case of non-encrypted connection, you have to be aware that this connection is generally not secure. This is because anyone can log into the network, and you don’t have any privacy or security when you choose to use this connection. So, if you want to connect to the non-encrypted network, you have to use the virtual private network on your device to make the connection secure and private. So, make sure that you are activating the VPN connection when you connect to the non-encrypted network. It might be okay for you not to use VPN when connecting to a public WiFi network as long as the connection is password-protected. But, even if it is password-protected, it is highly recommended for you to do only regular browsing activities, such as checking out on YouTube to stream videos, downloading videos, listening to music, and so on. As long as your browsing activities don’t involve any transmission of your private data, it should be fine. However, if the connection is not encrypted, then it is recommended to activate your VPN connection regardless of the nature of your browsing activities. While it is okay for you to use the public WiFi network for regular browsing activities, such as reading some blogs, streaming videos, and so on, it is necessary for you to use the virtual private network when you intend to do some financial transactions using the public internet. This is to ensure that you private information is completely protected and secured, and it also ensures that no third parties can take a peek at your data transmission. VPN is the way for you to keep your connection secure and protected. Once you have done with your browsing activities, it is important to disconnect your device from the network immediately. You don’t want to keep on connecting to the public internet because you are risking your device security if you do that. Somebody might silently transmit malicious files to your device or infect your device with viruses. So, when you are done, you should go back to using your regular mobile data connection and manually disconnect your device from the WiFi network. Those are the 5 things to do and not to do when you are on a public WiFi network. The public internet is the most favorite place for hackers to steal data from the users, and there are many cases where hackers can infect the entire public network with a malware. So, whoever is connecting to the network, the device will automatically get infected, and it will be under the hacker’s control. That’s why it’s necessary for you to protect your device with VPN, so that you can stay secure when connecting your device using the public internet.